I recently purchased a little web cam from Wish. 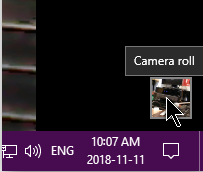 It’s supposed to be HD quality, but there’s no way this thing can pump out HD quality video; in the same breath, if you wanted a half decent camera image for something like Facebook chat, it’s not too bad. If you want to produce HD quality video for YouTube, it ain’t going to happen. Using the built-in microphone, I recorded a brief video of me talking and during playback, with all volume controls on my system turned as high as they would go, I could barely make out what I was saying. 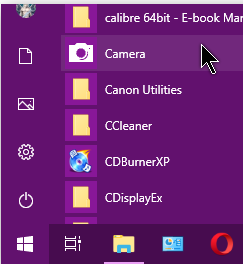 The only positive side is that it gave me an excuse for using the Windows 10 Camera App. 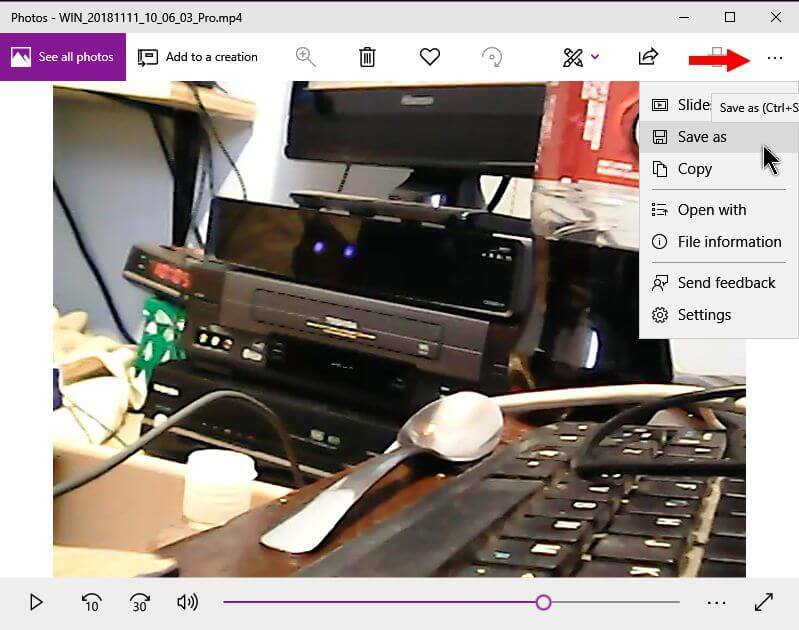 So, here’s how to use the Camera App to record a simple video. You first might want to go to the settings in this App by clicking on the Settings gear icon. I didn’t have many options for video. The highest resolution I could get was 480p 4:3 30fps. I was expecting at least 720p. Click on the big button and it turns into a button with a big red square in it. It should now be recording. You should notice the counter at the bottom of the video screen going up. 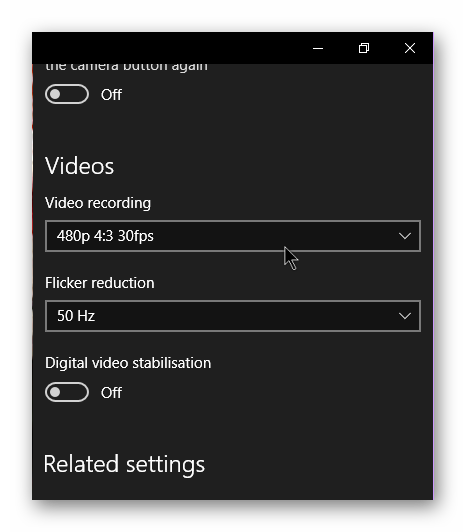 Press the Record button again to stop recording. Now you need to save it. Warning: Closing this App without saving it will offer no warnings about saving your project first! Click on the Video Thumbnail in the lower right-hand corner.